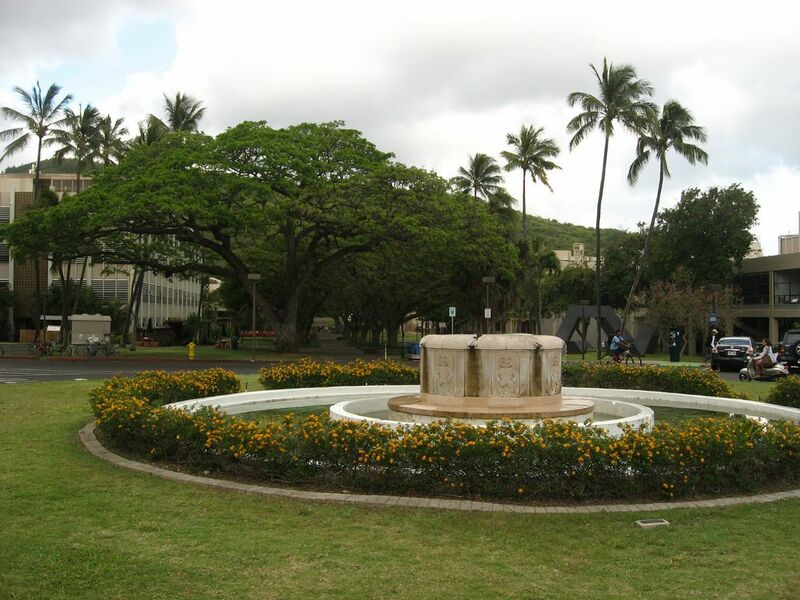 Established in 1907, the University of Hawaii at Manoa is the largest and oldest of the 10 UH campuses. 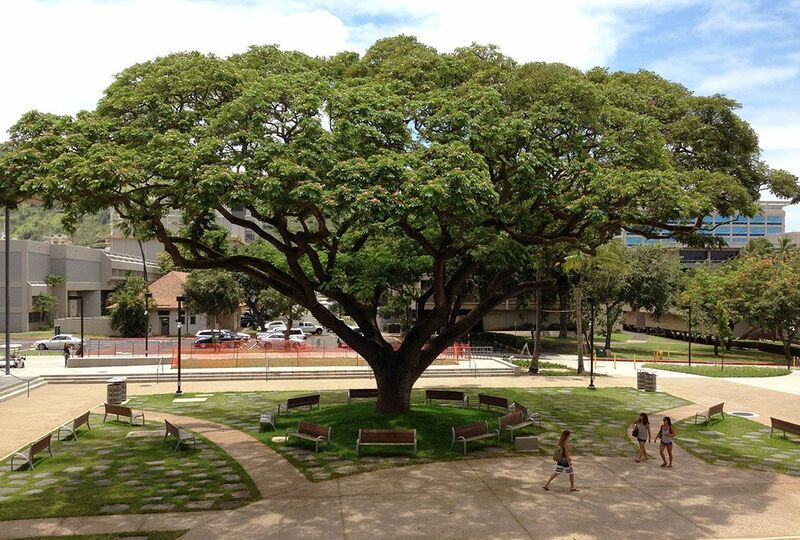 It is a public university located in Manoa, just outside of downtown Honolulu on the island of O’ahu. 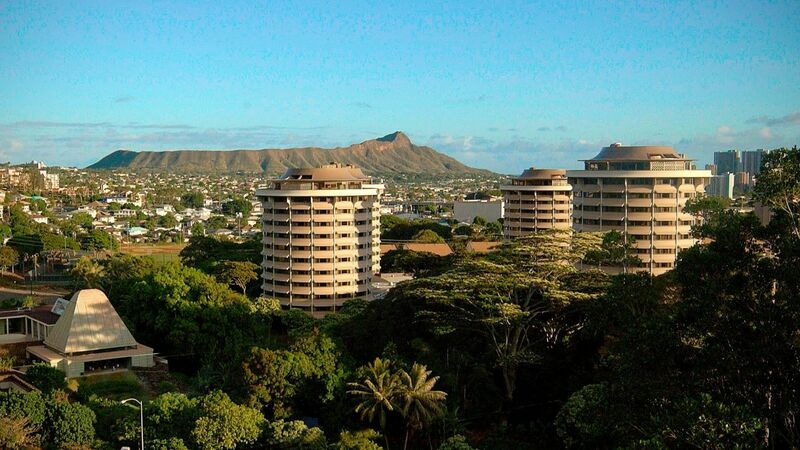 Manoa offers hundreds of undergraduate, graduate and professional degrees. It has widely recognized strengths in tropical agriculture, tropical medicine, oceanography, astronomy, electrical engineering, volcano logy, evolutionary biology, comparative philosophy, comparative religion, Hawaiian studies, Pacific Islands studies, Asian studies and Pacific and Asian regional public health. The 18 Colleges (Arts & Sciences, Business, Education, Engineering, Tropical Agriculture & Human Resources, Outreach College, Architecture, Hawaiian Knowledge, Law, Medicine, Nursing & Dental Hygiene, Ocean and Earth Science and Technology, Pacific and Asian Studies, Social Work & Travel Industry Management). The student population is more than 18,800 of which over 13,600 are enrolled in undergraduate courses. The student to faculty ratio at the university is 13:1 and the acceptance rate is 81%. 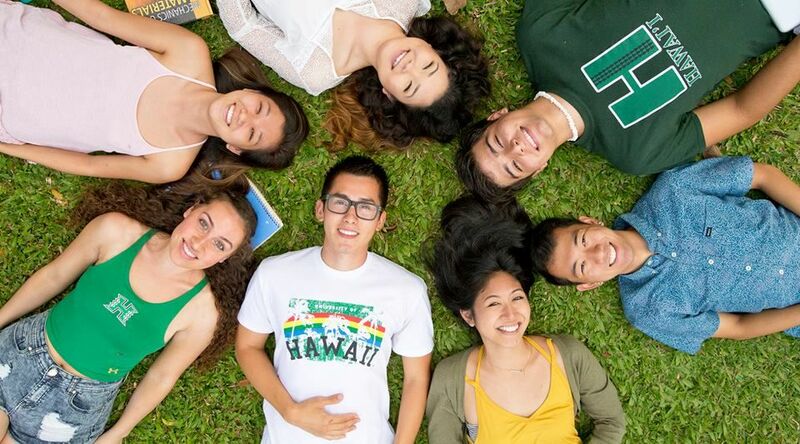 The UHM offers financial aid services to making it possible for degree-seeking admitted students to attend the university regardless of their economic circumstances, 70% of its students receive financial aid in one form or the other. The College of Tropical Agriculture and Human Resources is one of the few agricultural colleges in the country that focus on the tropics. The university is home to the unique Hawaii Institute of Geophysics & Planetology with laboratories in paleomagnetism and infrasound. It is also home to the Shidler College of Business which has the only AACSB accredited graduate business program in the state. It also has the only Doctor of Architecture program in the country. Students must complete 30 credit hours, including:12 credit hours of AMST core courses, including AMST 381, 382, 480, and 481 or 4829 credit hours of AMST electives, of which at least 6 must be upper-division AMST courses9 remaining credit hours may include upper division courses in either AMST courses and/or allied humanities and social sciences courses (no more than 3 credit hours of 499 may be counted). The music (MUS) department offers the bachelor of arts in music, bachelor of music, master of arts in music, master of music, and doctor of philosophy in music. In conjunction with the College of Education, the department offers the bachelor of education in elementary education (music) and the bachelor of education in secondary education (music). Information about each of these programs may be found on the Music Department website: manoa.hawaii.edu/music/.The department is housed in a complex of buildings, including studios, practice and rehearsal facilities, and the Mae Zenke Orvis Auditorium, noted for its fine acoustics. In addition to many offerings in Western classical, vocal, and instrumental music, the department specializes in non-Western music, notably the musics of Asia and the Pacific. Career in ceramics, digital imaging, drawing, electronic arts, fiber, glass, graphic design, painting, photography, printmaking, and sculpture. Theatre includes the study of dramatic literature and theory; acting and directing; stage, costume, and lighting design; stagecraft; playwriting; Asian theatre, Hawaiian theatre, and TYA (Theatre for Young Audiences); and performance studies. Imaginative and creative individuals interested in the disciplined, practical application of classroom theory are suitable candidates as theatre majors. Teaching and professional stage, film, and television work are typical professions of theatre majors, but the analytical and practical skills, discipline and self-confidence, creativity, problem solving, and ability to work toward common production goals are applicable to a wide variety of industries and professions. Dance graduates have found professional performing, teaching, choreographic, and administrative positions in such diverse companies/organizations as River North Chicago Dance Company, Orlando Ballet, Texas Ballet Theatre, Houston Ballet, Boston Ballet, Atlanta Ballet, Paul Taylor Dance Co., Bill T. Jones/Arnie Zane Dance Company, Pilobolus, The Martha Graham Co., Mark Morris Dance Company, Pentacle, Dance Theater Workshop, and American Dance Festival. Others have established schools and companies, or teach in universities around the world. Graduates are also working as artistic directors of their own companies, and some are creating dances as freelance choreographers. Many have gone to graduate school or certification training, and are working in areas such as Pilates, dance therapy, yoga, dance lighting, dance photography, dance writing, dance education, nutrition, physical therapy, medicine, arts administration, and more. Chemistry (CHEM) stands at the crossroads between physics and biology. As biological processes are examined in ever finer detail, chemistry is increasingly called upon to provide the insights, techniques, and materials needed to understand the workings of living organisms, including ourselves. Chemistry is thus a popular major for those interested in biomedical careers. In another direction, chemistry is also essential to the search for solutions to the ecological problems created by the ever-expanding range of human activities. Chemists create new substances with new properties that find application throughout our civilization. The annual cost of living at is $18,500 approx.